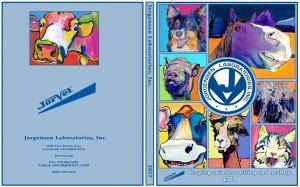 The 2017 distribution of over 40,000 annual catalogs by Jorgensen Labs (a veterinary supply) used Loveland animal artist Pat Saunders-White to fill the catalog covers. I will be working with them again next year. I am so pleased! Women Change The World interview dynamic women who have changed their lives and succeeded. 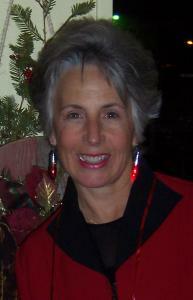 I was chosen to be interviewed by Dr. Beth Golden about my career as an artist. I was experiencing a my first ever bout with allergens and am still suffering 11 days later. At least I don't sound like Janis Joplin when this interview took place. Teaching on a cruise ship has its rewards. Meeting new people and getting them excited about art is very fulfilling. Several of my classes had 48 people at a time. New students would appear each time I taught and it was quite a balancing act to start them out and have repeat guests working to develop pieces they had started. The enjoyment of the cruise and exploring the Islands was unforgetable. Sponsor was Loveland Computer Repair. 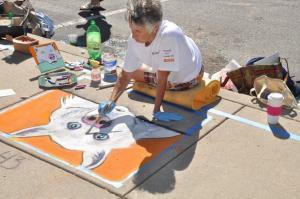 The 50 or more artists created temporary sidewalk chalk art to support Alternatives To Violence. We raised more than $10,000! Back breaking work in the hot sun but very satisfying. Thank you Ryan Dallas for the sponsorship and encouragement throughout the process. Get ready to see my downsized studio! I will be utilizing my beautiful gardens, home and studio for this event. Check out my Events page for further information. Confirmation has been received I will be teaching on Celebrity Cruises from San Diego to the Hawaiian Islands Oct 17 -Nov 1st. 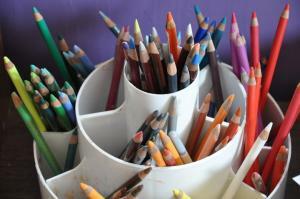 Watercolor kits are sold to the passangers with everything they will need. This will be one great vacation. 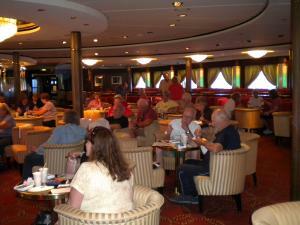 I haven't done a teaching cruise since 2008 when I taught on the Queen Mary II in the Carribean. The big move to my new house and studio has still got me in spinning around. I continue to paint and receive new commissions while I am sorting everything out. Downsizing probably hurt most of all. But I have beautiful gardens to putter in and a circa 1916 bungalow to decorate. 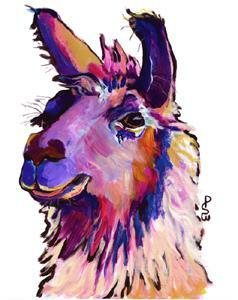 In the future I want to paint and decorate the house to reflect my quirky sense of humor and love of color. Stay tuned as I settle in. 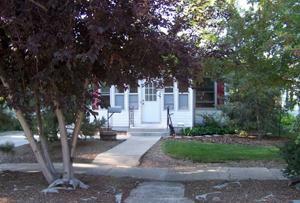 Every day my goal is to get the new abode ready for the Loveland Art Studio Tour October 15 and 16th 2011. Am I up for the challenge? You bet! I was informed that a large body of my work will be appearing on a home furnishing site called Eziba. This should be happening the 26th or 27th of June for a month.